Wat is dit voor site? Wij zoeken de goedkoopste boeken op internet. ENVIRONMENT & FOODvonden we het goedkoopst op Bol.com voor €30.99. We hebben gezocht in nieuwe en tweedehands boeken. Rechtsonderaan de pagina kan je het boek direct bestellen	via Bol	.com. This timely book provides a thorough introduction to the inter-relationship of food and the environment. Its primary purpose is to bring to our attention the multiplicity of linkages and interconnections between what we eat and how this impacts on the earth's resources. Having a better idea of the consequences of our food choices might encourage us to develop more sustainable practices of production and consumption in the decades ahead. Although human societies have, over time, brought under control a large proportion of the earth's resources for the purpose of food production, we remain subject to the effective functioning of global ecosystem services. The author highlights the vital importance of these services and explains why we should be concerned about the depletion of freshwater resources, soil fertility decline and loss of biological diversity. 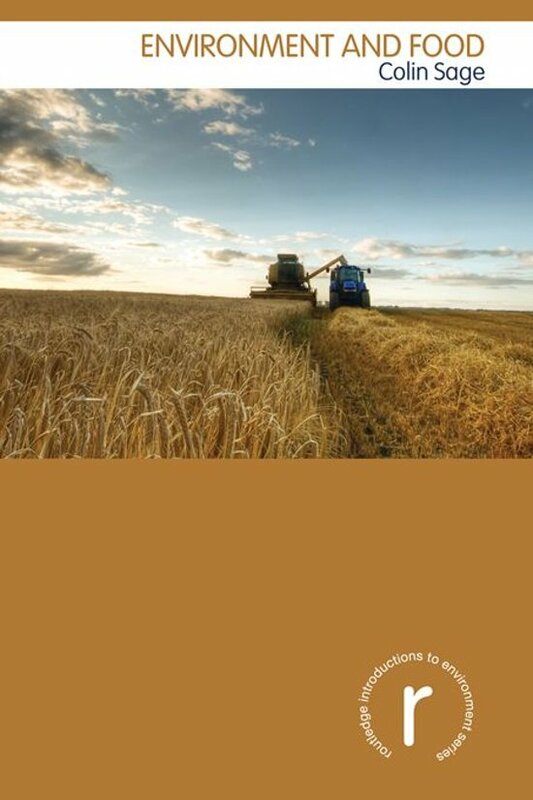 The book also tackles some of the enormous challenges of our era: climate change – to which the agri-food system is both a major contributor and a vulnerable sector – and the prospect of significantly higher energy prices, arising from the peaking of oil and gas supplies which will reveal how dependent the food system has become upon cheap fossil fuels. Such challenges are likely to have significant implications for the long-term functioning of global supply chains and raise profound questions regarding the nutritional security of the world's population. Taken together the book argues that a re-examination of the assumptions and practices underpinning the contemporary food system is urgently required. Environment and Food is a highly original, inter-disciplinary and accessible text that will be of interest to students and the wider public genuinely interested in and concerned by the state of the world's food provisioning system. It is richly illustrated with figures and makes extensive use of boxes to highlight relevant examples.